Eating Mindfully: Is This The Simplest Way To Lose Weight, Ever? Home / Health and Fitness / Diets / Eating Mindfully: Is This The Simplest Way To Lose Weight Ever? If we told you that you never need diet again, that all it takes is a two second switch in your brain to make you lose weight almost instantly, you’d laugh right? Well, laugh it up ladies, once you get on board with the concept of eating mindfully you really can. Let’s start off by saying that eating mindfully isn't a new kind of diet, in fact it’s the complete opposite of any diet you’ve ever tried. You eat what you want, when you want and there’s not all that much else to it. Sounds simple enough doesn’t it? The idea of eating mindfully has been around for centuries but that doesn’t mean it’s outdated, in fact it could be the answer to our modern day convenience-eating dilemma. And it’s not just a fad claim either. Celebs like Goldie Hawn and Gwyneth Paltrow rate it and even Oprah loves it. There have been articles of converts in The New York Times, The Independent and more recently, The Telegraph. Now this sounds pretty fantastic but we can’t help thinking is ‘mindful eating’ just jargon? Can it really work? Have you ever been sat at your desk, gorging on that chocolate bar whilst staring blankly at the screen until before you know it, the chocolate has gone and all you’re left with is a STRONG urge for more, even though you really don’t actually want it? Well this is exactly the kind of habit that eating mindfully seeks to put an end to. Dr Susan says: “Mindful eating helps you to eat slower, savour and stop eating on autopilot. My clients call mindless eating 'zombie eating'.” With mindful eating you're not thoughtlessly cramming in food because you think you should - but this doesn’t mean that it’s easy. Willpower is the key to harnessing the art of mindful eating. There’s no magic force making you complete it, no weigh-in groups or recipes to follow to help, a lot of eating mindfully is down to you. She also says that if you put your mind to it (sorry, couldn’t help it) then eating mindfully is something that anyone can master. “It’s much easier than many people think. When they start to tune in, it’s more difficult to slip into autopilot behavior. However, it does take repeated practice. Habits are sometimes hard to shake. We go back to them automatically when we are stressed,” she says. Statistics show that as many as a third of UK women are on some form of diet and, on average, spend 31 years of their lives on said diets. It seems like we have no idea what our bodies want, what they need and how to be healthy – what eating mindfully can teach you is to be in touch with all of these things. 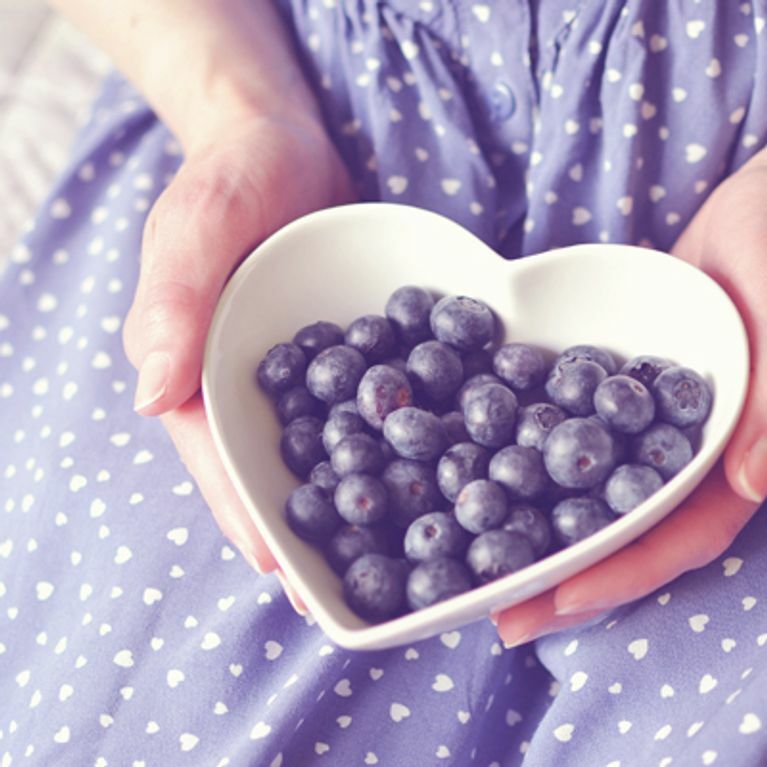 Susan says that eating mindfully can harness a natural and healthy attitude towards food. “When you eat mindfully, you feel more in control. You also enjoy your food more. When people enjoy their food, they tend to eat less. Mindful eating helps to stop stress eating. When you are eating mindfully, you just eat when you are hungry,” she states. And it’s not just for weight loss either. Eating mindfully claims to help with all sorts of other ailments. “Just cutting out mindless eating—without doing anything else can have a fantastic impact on your weight and body. Mindful eating has been shown to help improve your body image, reduce your BMI, cope with diabetes, reduce binge eating. In other words there are a lot of benefits! This leads to better blood pressure, cholesterol levels and weight,” says Susan. The tricky thing about us humans is the ability to be able to convince ourselves that we’re doing something properly, when really we’re cheating all the way to the fridge. So Susan says that as long as you don’t make these little excuses for yourself, eating mindfully should work wonders. “Sometimes clients say - I ate the whole piece of cake mindfully. They don’t realize that you can eat good foods, including cake, in a mindful way. However, sometimes people justify overeating by saying they are doing it mindfully,” she says. It might make you into a bit of an awkward dinner guest but at the end of the day – if you’re at peace with your eating habits, frankly who cares? Cassandra Barns, nutritional therapist​ at The Nutri Centre says that on the whole, eating mindfully is a great way to live your life. “I’d definitely agree with everything about eating mindfully. Part of the reason for people putting on weight and also just being unwell, is that you’re sort of abusing your body by just throwing food into it. "We spend so much time in this society eating as a secondary activity, like watching TV or reading the paper, or on the phone to somebody. By doing that you’re unconsciously not appreciating your food and your body isn’t being able to digest it either which means you need to eat more to get more satisfaction. "So if you’re eating mindfully your body is satisfied with less because it’s getting more sensation and more satisfaction from the food that you are eating," she says. Slow down: “Eat with your non-dominant hand. Studies show that this can reduce how much you eat by 30%! Use whatever tactics you can to slow down. It might be matching your pace to the slowest eater in the group or putting your fork down between bites. Remember this motto: 'pace not race'”.